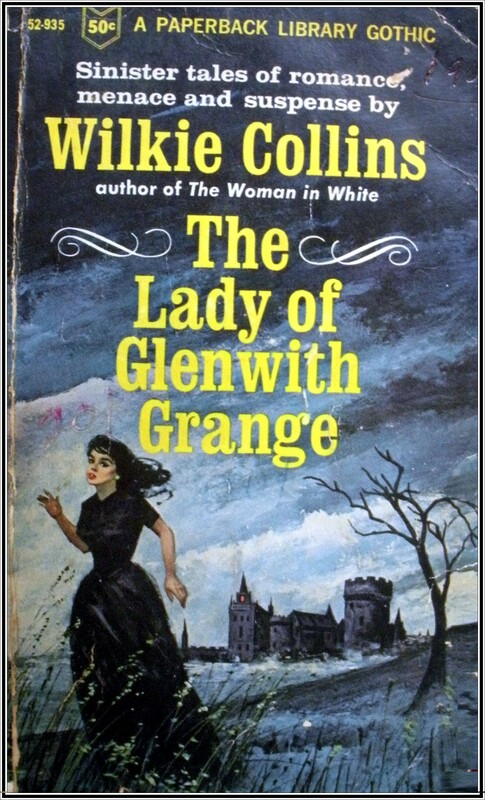 The gothic world of Wilkie Collins. – a world where the eerie and the terrifying work their evil in the shadows of old, dark houses. -a world where secrets and curses never die- even after they’ve been buried. -a world where endangered young women live their fearful lives in a smouldering atmosphere of madness and death. 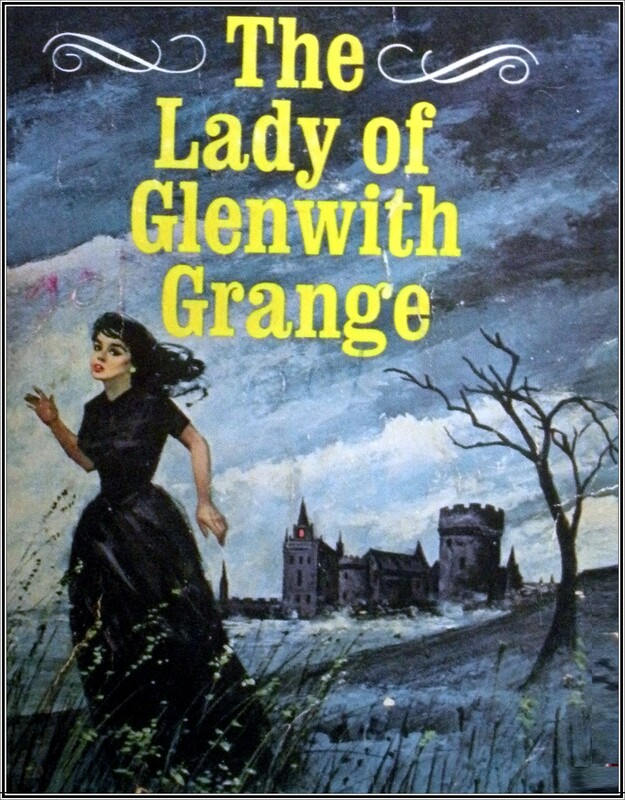 The Lady of Glenwith Grange will lead every reader of romance and mystery into a land of chilling enchantment! Written by Wilkie Collins. First paperback Library printing April 1966. Wilkie Collins was a very popular Victorian writer, perhaps best known for his novels The Moonstone and the Lady in White (pictured left). Both are considered to be his best works and excellent examples of early detective fiction, and they are still in print to this day. As well as being considered one of the most masterful novelists of his time, with 30 novels to his credit, Wilkie Collins wrote over 60 short stories. This Paperback Library edition brings together six of his sinister tales of romance, menace and suspense. 6. A Terribly Strange Bed. I love short stories and I wish there had been more collections of this type published in this genre. Short stories are a great way of grabbing a ‘quick fix’ of escapism without having to commit to a whole novel. 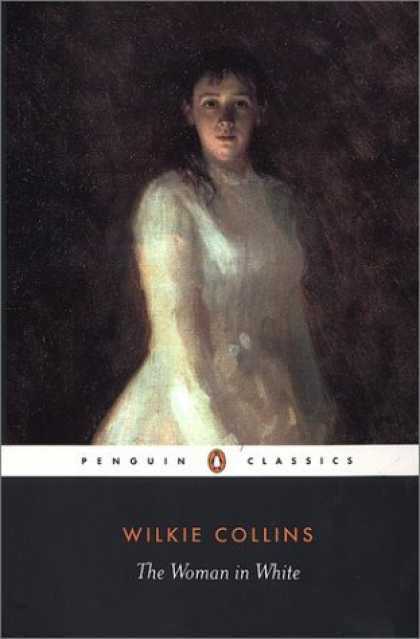 Wilkie Collins’ prose is a gothic gourmet’s delight and these stories do not disappoint. And even though most are now available on the web, it is nice to have a mouldy book to curl up with now and then. My only quibble is that I would have liked a little more background information on the author, when the stories were originally published etc presented in an introduction. (But to be fair there might be one as my edition does appear to be missing a few pages). Four out of five stars.